SOUND ROUTES is a European band. Its members are based in Berlin, Bologna, Brussels, Gent, Rom and Sevilla. The concert is part of the EU-financed project “The sound routes. Notes to get closer”, which aims at bringing together musicians of very different international backgrounds based in Europe. 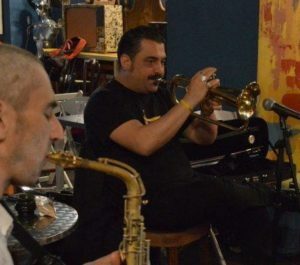 WERKSTATT DER KULTUREN and partner organisations in Belgium, Italy and Spain are cooperating to connect international musicians with local communities. Co-founded by the Creative Europe Programme of the European Union.